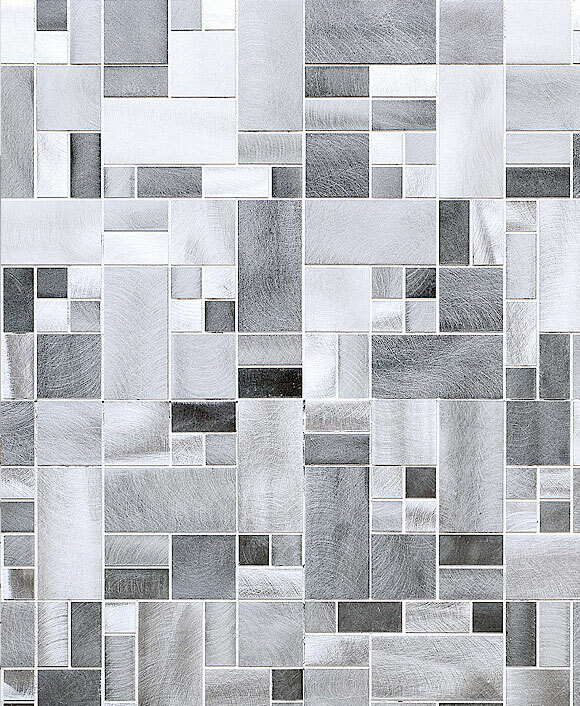 SILVER MODERN METAL BACKSPLASH TILE. 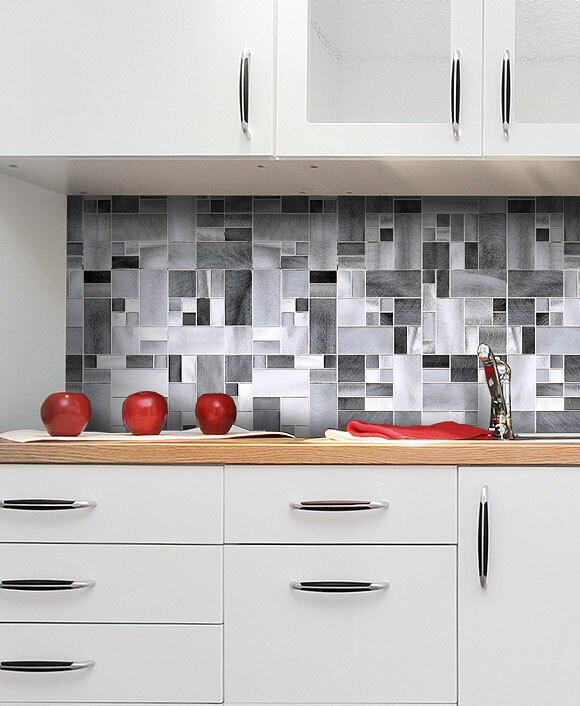 Make your home look straight from the pages of a modern design magazine with this silver modern metal backsplash tile. Comprised of shining squares with the hand-brushed feeling of quality silver, your space will feel more refined. With an industrial vibe to its shining surface, the clean lines and monochromatic color scheme lends itself well to modern design patterns. The silver modern metal backsplash tile could be the perfect addition to elevate your stylish space.